Part of good eating is good food and there is no better food than vegetables you have grown yourself. Our garden is starting off well. We have spinach and lettuce ready to harvest and the second planting is coming along. 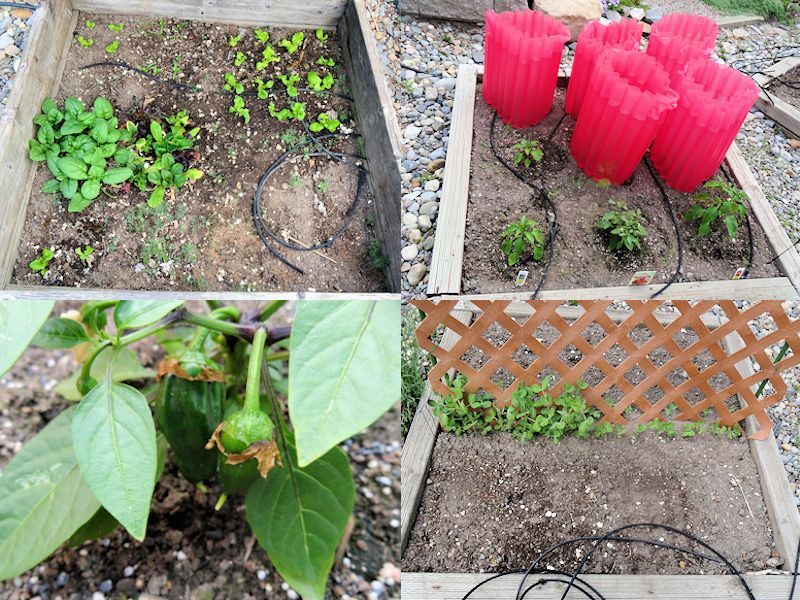 Thanks to Kozy Coats (the water filled red cylinders in the picture) our peppers and tomatoes are doing well. It has become warm enough to take them off and there are peppers already forming on some of the plants. 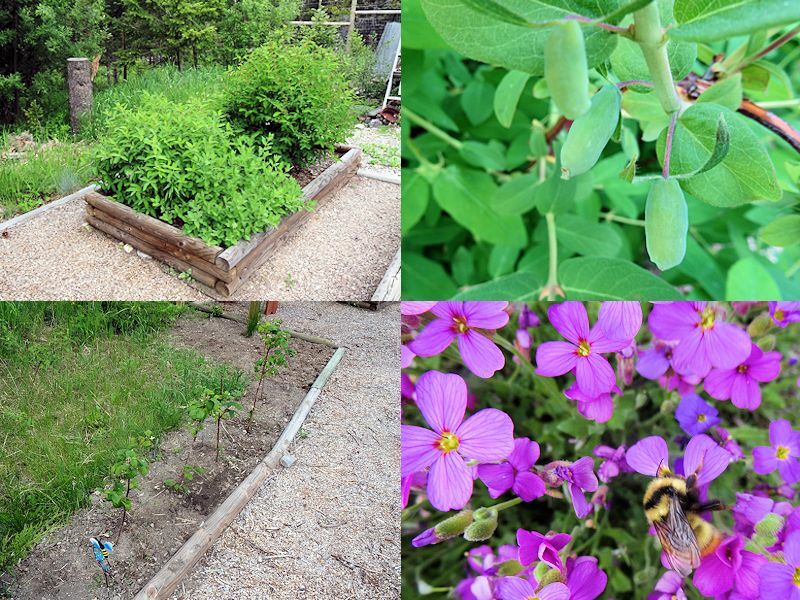 The snow peas are growing and the carrots and green onions in front of them are just showing. 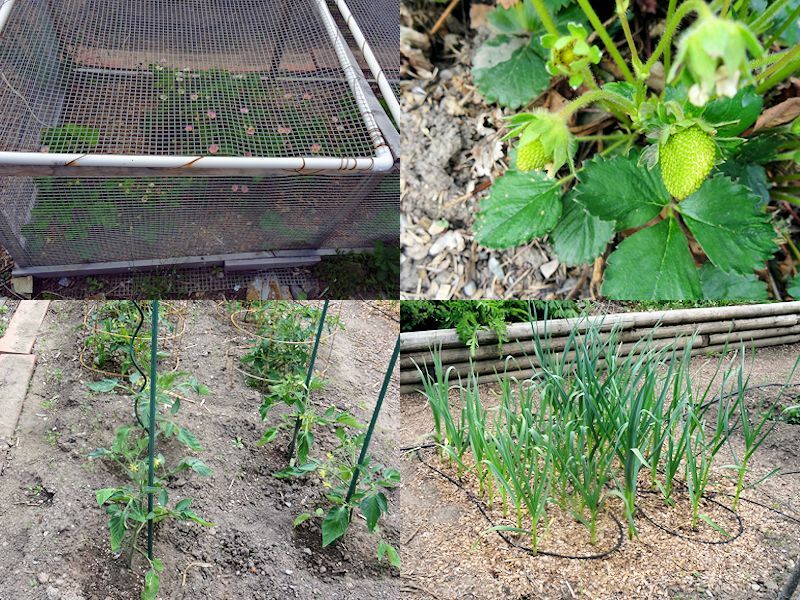 We have to keep our strawberries in a cage due to critters but there are lots of flowers and fruit is forming. My main crop of tomatoes has flowers on them thanks to early planting and the protection from the Kozy Coats. The garlic I planted last fall are going great. My pole beans have come up and the potatoes have grown a lot in the last week. I have planted green, yellow and purple bush beans that have sprouted. There was a bit of room in the bed I grow my walking onions in. 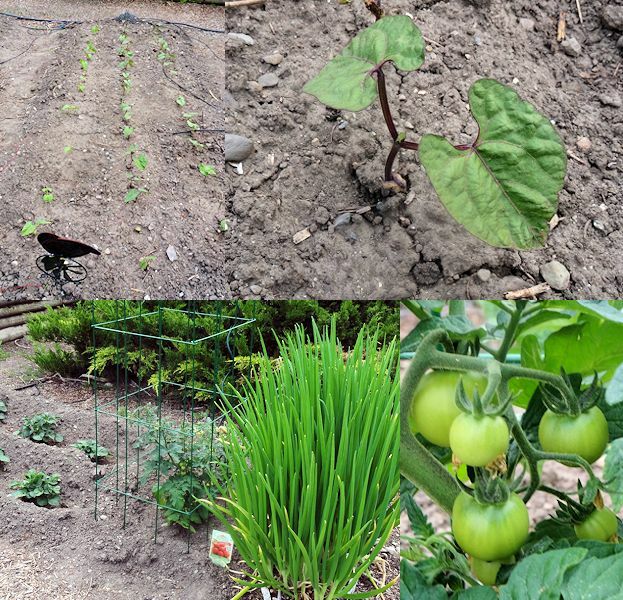 I put in a few more potatoes and two cherry tomato plants that have fruit forming. My haskap berries are forming and even getting a bit of blue colour. I put in a raspberry patch this year. Oh yes, She Who Must Be Obeyed has planted flowers and shrubs but you can’t eat those so who cares. Even if you are busy, plant a couple of vegetables. They are just so good.